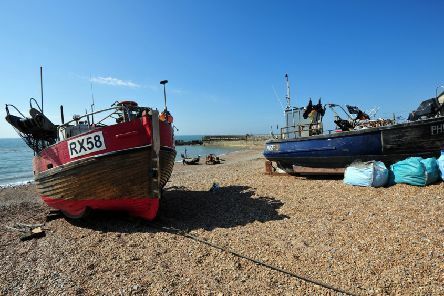 Although Hastings is no longer a port, we have a long maritime tradition dating back more than a thousand years. Next Friday, I’ll be spending the night at the Stade Open Space, sleeping in a cardboard box. This will be the fourth annual Big Sleep event, raising money for the Seaview Project, a local charity that works with rough sleepers. Last August, Hastings experienced its first Pride Festival. The theme was the ‘Summer of Love’, celebrating 60 years since the decriminalisation of male homosexuality. 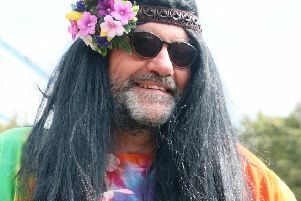 I was very pleased to do the opening speech – suitably dressed for the ‘Summer of Love’ theme. That first Hastings Pride festival was a big success – described in the national press as one of the best pride festivals in the country. Last year, Hastings Council consulted local people on its ‘masterplan’ proposals for White Rock Gardens, and land from the seafront through to Summerfields Woods. Following on from that, we now have to embark on a more formal process to develop an Area Action Plan (AAP) for this area, covering not just White Rock Gardens, but the whole of Hastings Town Centre as well. Hastings Council this week considered a report on the future of the street cleaning service, after the current contract ends next June. But rather than get another contractor to run it, we agreed to re-establish a street cleaning ‘direct services organisation’ (DSO) and run the service directly. This will include removing flytips, and bulky waste collections. As more and more money is cut from their budgets, we’ve had to look increasingly to external funding sources. There are many of these. The EU has been a major source of funding for Hastings, which we still can apply to, until after the Brexit transition period. But there are other sources too, within the UK. 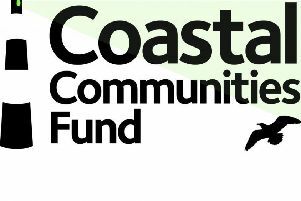 These include Heritage Lottery Fund, Historic England, the Local Enterprise Partnership (LEP), Coastal Communities Fund (CCF), and various one-off government schemes. But it’s never straightforward, and never easy. The local elections are now just around the corner and I am sure all of you will soon have literature from several parties come through the door. The importance of the elections should not be underestimated. You get the oppertuinity to change your town for the better and possibly forever and what is more empowering than that? Over the next few years, we’ll be embarking on a major redesign and redevelopment of White Rock Gardens, and the ‘Bohemia Quarter’. This will probably be the biggest public space redevelopment in Hastings since the last war, and would mean new, modern facilities for sport, leisure, and culture, developing this space to complement Hastings Pier, and become a new destination for our town. 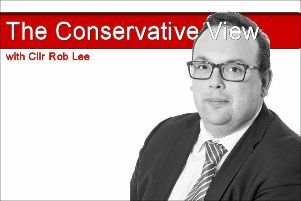 In my last column, I explained the difficulties all councils are having making the books balance. I mentioned that one way to cope with this was for the council to generate its own income. So here’s how we’ll be doing this. Last month, Hastings Council set up a housing company to acquire and build housing. 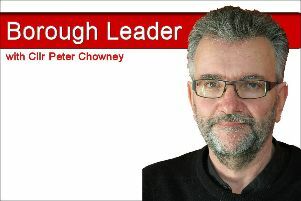 The company will be wholly-owned by the council, and its directors will be council officers, and one councillor. 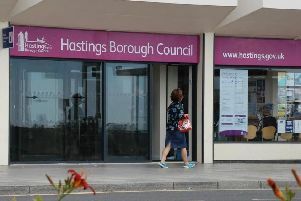 Its policies and constitution will be determined by Hastings Council, but the board of directors will make decisions on what properties it should buy or develop.